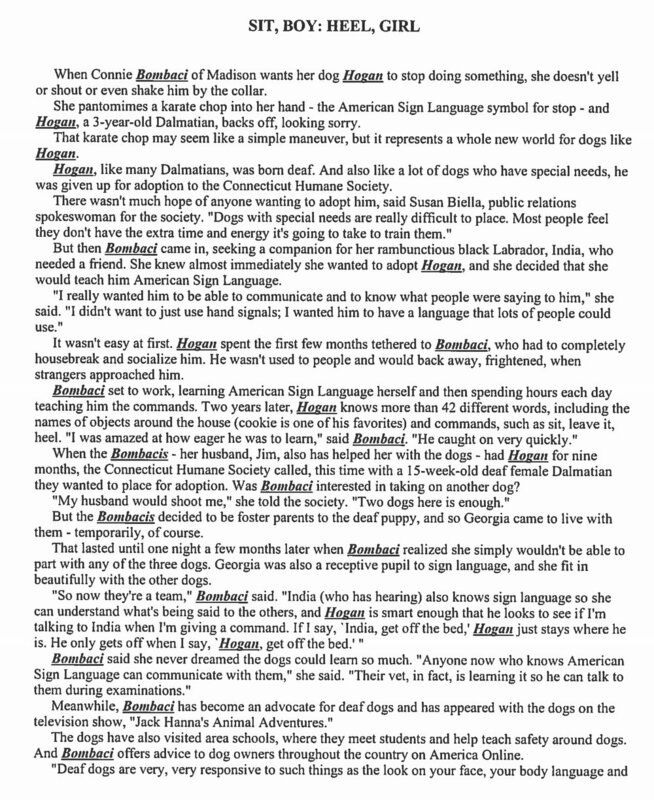 October 2, 1995 the New Haven Register published an article about my first deaf dog, Hogan. This article was one of the springboards for Hogan's publicity to begin and bring the message that deaf animals are worthy of love and acceptance to the world. This is a copy of that article courtesy of the New Haven Register.